Andaman & Nicobar Islands is a group of over 572 Islands, islets and rocks (37 of which are inhabited) in the Bay of Bengal, South-East of the Indian mainland. The Andaman & Nicobar Islands is nearer to Myanmar, Indonesia and Thailand than to the Indian mainland. Andaman & Nicobar Islands stretches over a length of more than 800 kms from North to South. Some of the large Islands are Middle Andaman, North Andaman, South Andaman, Baratang and Little Andaman islands. The northern most point is Landfall Island and the southern most, Indira Point. 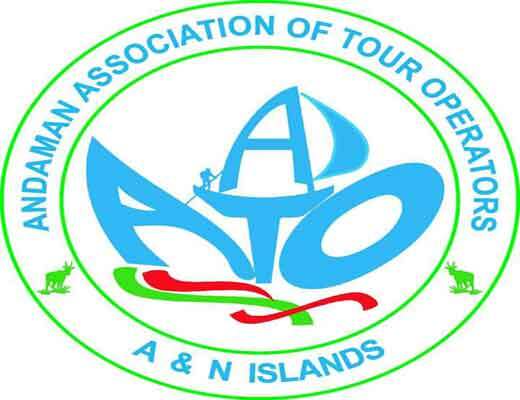 The Nicobar group of Islands is out of bounds for Tourism activities. i.e., only the Andaman group of Islands are open for Tourism. This is because the majority of people living in Nicobar Islands are Tribal’s. 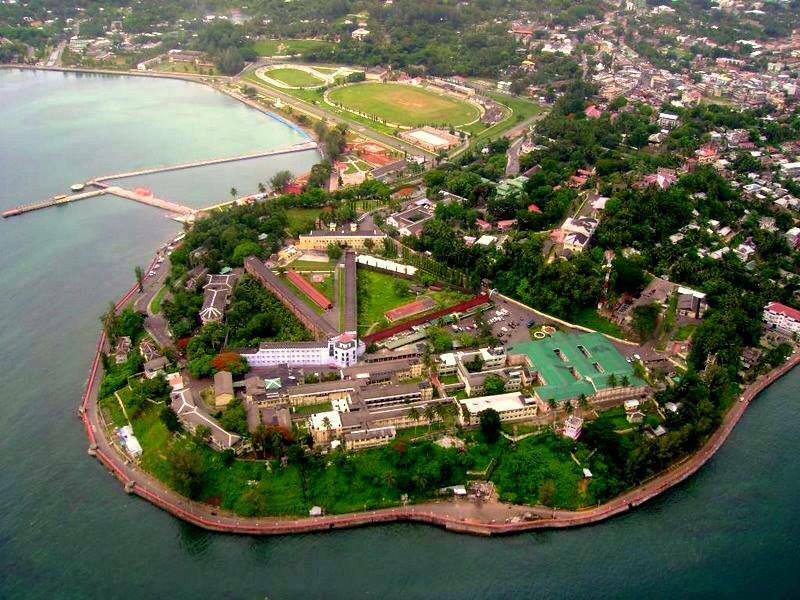 The capital of Andaman & Nicobar Islands is Port Blair. Most of the islands are in the Andamans group, 26 of which are inhabited. The Nicobars comprise some 22 main islands, 10 of which are inhabited. The Andamans and Nicobars are separated by the Ten Degree Channel, some 150 km wide. The territory's population as per the year 2001 Census of India is 356,152. The total land area of the Andaman & Nicobar Islands is approximately 8,249 Square kms. The total area of the Andaman Islands is some 6,408 km² & that of the Nicobar Islands approximately 1,841 Square kms. The major languages spoken in Andaman & Nicobar Islands are Bengali, Hindi, Malayalam, English, Tamil, Nicobarese and Telugu. Since pre-historic times aboriginal tribes have lived on these Islands. The Andaman group is inhabited by tribes of Negrito origin, while the Nicobar Islands are inhabited by tribes of Mongloid origin. There are 4 tribes in the Andaman District and they are Great Andamanese, Onges, Jarawas and Sentinelese, while 2 other tribes, Nicobarese & Shompens of Mongloid origin live in Nicobar district. The topography of the Andaman islands is hilly and they abound in evergreen forests. Timber is plentiful and of a vast variety. These undulating islands are covered with dense forests and endless variety of exotic flora and fauna. However, the Timber of Andaman & Nicobar Islands cannot be commercially extracted due to the order & ruling of the Supreme Court of India. The reserved and protected forests extend over 86% area of the territory and the forest cover is more than 92%. About 50% of the forests has been set aside as Tribal Reserves, National Parks and Wildlife Sanctuaries. Mythologically, the name Andaman is presumed to be derived from Hanuman, who was known to the Malays as Handuman. Since pre-historic times, these islands were the home of aboriginal tribes. The first settlement by the British took place in 1789, which was later abandoned in 1796. The second settlement was basically a penal settlement, established in 1858, after the First War of Indian Independence, followed by the settlement of convicts, Moplas, some criminal tribes from Central and United Provinces, refugees from erstwhile East Pakistan, Burma and Sri Lanka as well as ex-servicemen. People of all faiths like Hindus, Muslims, Christians, Sikhs, Buddhist etc., live together in complete peace and harmony. Inter-religion and inter-regional marriages are common. This amazing racial and cultural mix is correctly described as Mini-India. The sandy beaches of Andaman & Nicobar Islands are fringed with coconut-palms. The sea around the islands offer excellent scope for water sports. Adventure tourism like trekking, Camping, snorkelling, scuba diving etc., are the real attractions. A visit to the Andaman & Nicobar Islands is a memorable lifetime experience. The Indian government is trying to develop the Andaman Islands into a low volume, high yield tourist zone. To promote eco-friendly tourism, the Andaman and Nicobar Administration is developing 36 beach sites on the islands. India’s first ever marina is to be developed in A&N islands. The Government is starting unique projects like introduction of seaplane service for the first time in India. The administration will set up canopy walkways, luxury cottages, and procure luxury boats to attract high-end tourists. Plans are afoot to start more sound and light shows and setting up de-compressions chambers for scuba drivers in the islands in the near future.Annual tourist arrivals at the Andaman & Nicobar Islands increased to 130,000 in 2009 as compared to 33,716 tourist arrivals recorded in 1990.